Friday’s (semi regularly) I try to post interesting non-Gloomth related things or personal photo essays. Today we have a weird animal! At first glance this creature looks like it belongs in the deep sea, undulating along the seafloor with the nudibranchs and sea slugs- it is actually a caterpillar! 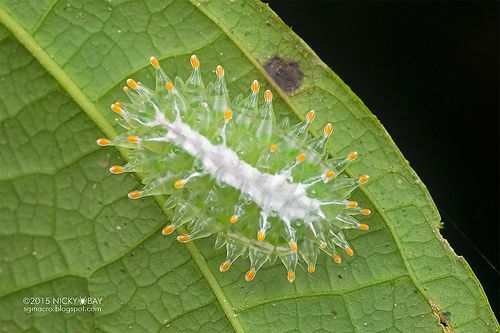 This is the Acraga coa caterpillar, the larvae of a fuzzy orange moth native to Mexico, Belize, and parts of South America. 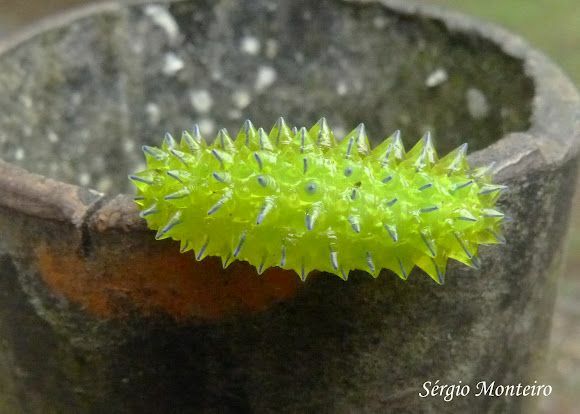 It’s part of the “Dalceridae” family of caterpillars which all share similar gelatinous, bumpy appearances. 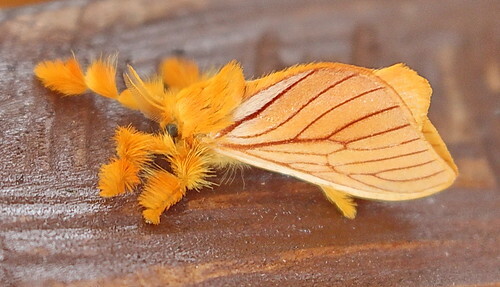 The adult version of these larvae is a bright orange fuzzy moth that resembles a Halloween plus toy that’s come alive. Insects are fascinating and diverse. Remembering the world is far weirder than it seems on the surface definitely inspires me to explore around me more often.